Aries: Perfect combination! There will be plenty of energy and enthusiasm for life. Taurus: Both of you will have to work really hard to make this work because you are so different. Gemini: This is an attractive and fun combination. Cancer: Not such a good match. You like the outside world and he likes the home life. Leo: Very dynamic and intensely social! A couple that is the center of attention. The only thing in the way is a lack of organization. Virgo: This relationship could have lots of ups and downs, but may also be viable. Libra: A high chance of success if he doesn’t try to convince you that marriage is the better choice. Scorpio: A very difficult combination. You don’t match and don’t accept each other’s extremes. You are too easy going and independent for the possessive Scorpio. Sagittarius: This is a stimulating combination. Your agendas will be always full. There could be lots of trips and adventures, just the way you like it. Capricorn: He can teach you many things including how to reach your goals while putting the good life on hold. Aquarius: You will sparkle together and have many things in common. Aquarius also likes to travel around the world. The Sagittarious Women: They are full of life, funny and sophisticated. They are only attracted to intellectual men. Have a clever conversation with her, and after you captivate her make sure to keep up with her energy… they are the best partners for sporting adventures. The Sagittarious Men: They love nature, animals, adventures, and lots of freedom. In order to captivate them you would have to go out in a jet ski in the morning, snowboard in the afternoon and tell him that you fell great in the evening. You can’t go wrong! 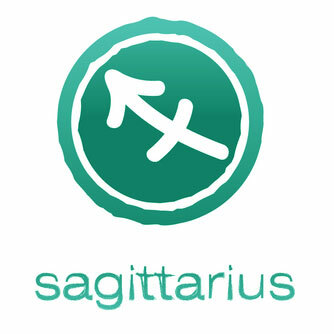 Sagittarius are full of life, they are funny and have a great sense of humor. They love to be around intellectual people. They love adventures and travel. They are very OPTIMISTIC. Sagittarius Guy: They love all kinds of sports; the more extreme the better, so give him something related to the sports he loves most, or buy two tickets to a sporting event. Take him on a canoe ride or paragliding; he will love you forever!